Wrapping up just a bit ago was AMD’s annual Computex press conference. AMD brings their A-game to Computex, and for a good reason: as a PC focused show, it gives them great exposure, but it also allows them to promote their OEM relationships, the latter of which are crucial to AMD’s survival as the CPU underdog. Computex in turn isn’t a venue for deep technical announcements, but it’s a good place to get clarity on AMD’s CPU roadmap. Starting things off then, let’s talk about ThreadRipper. AMD’s previously announced many-core CPU for the high-end PC desktop and workstation market was first announced at Financial Analyst Day a few weeks back. AMD is now in the process of slowly releasing information about the chip to build up interest ahead of its launch – which, before you ask, hasn’t been set yet and is still “this summer”. 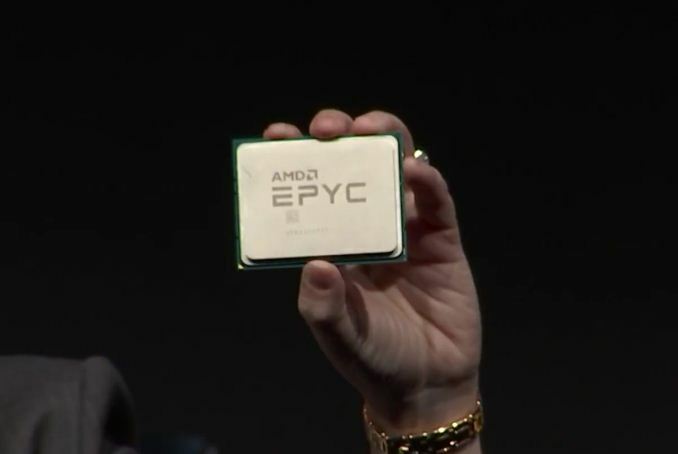 At today’s press conference, AMD has confirmed that the 16 core processor will for most purposes be half of an Epyc processor. 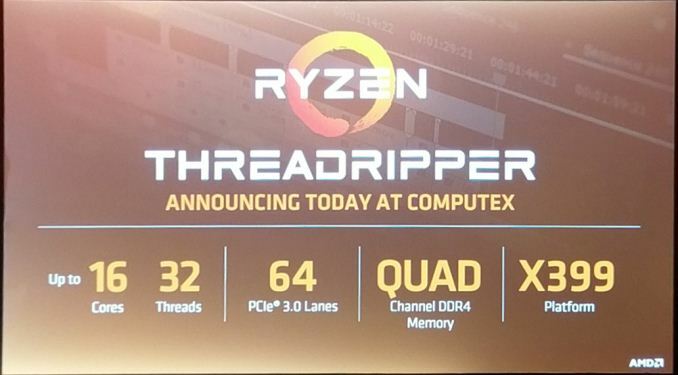 This means that the two die MCM chip will feature 4 DDR4 channels and a whopping 64 lanes of PCIe, with all 64 lanes being enabled for all ThreadRipper SKUs. This will be broken up into 60+4: 60 lanes directly from the CPU for feeding PCIe and M.2 slots, and then another 4 lanes going to the chipset (with an undisclosed number of lanes then coming off of it) to drive basic I/O, USB, and other features. AMD seems to be particularly relishing the point on PCIe lanes in light of the yesterday’s Intel HEDT announcement, which maxes out at 44 lanes and no chip below $1000 actually has all of them enabled. 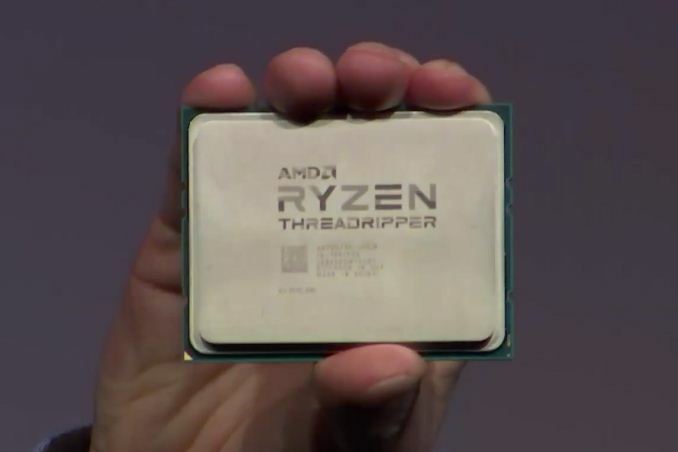 The launch chipset for ThreadRipper will be the X399 chipset (ed: at this point AMD and Intel are literally trying to one-up each other). No details have been released on it thus far, so we’ll have to see what AMD has up their sleeve. But coming so close to the Ryzen launch, it doesn’t sound like it’ll be radically different. Otherwise we’re hoping to grab some pictures of X399 boards at the show today, as those should be on display. 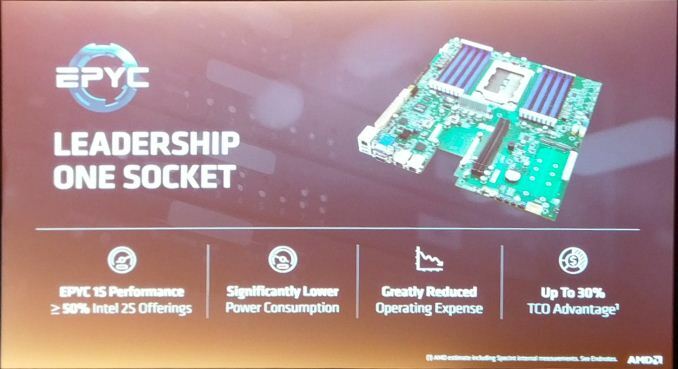 The ThreadRipper/Epyc socket in particular should be interesting; the chip is nothing short of massive, and in the one photo AMD has released so far of an Epyc motherboard, the socket looks equally huge. Finally, not to be outdone, AMD’s 32 core & 128 PCIe lane Epyc CPU for servers has also received some news of its own. AMD’s first promising product in the server space in nearly half a decade will be launching on June 20th.